Have you ever think of getting a professional bug detector to shield yourself up against any possibility of being watched or eavesdropped? In the past, the thought of the situations sounds like totally something illusional. But it is not the case anymore nowadays. 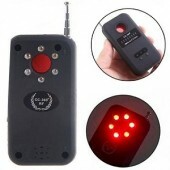 Here is this sensitive wireless RF signal detector spy camera bug detector available at favorable cost. 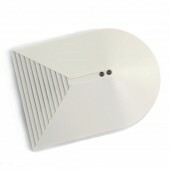 The wireless RF detector is a professional and high performance unit with modularly threshold and wide detecting range 800-1500MHz and 180-2500MHz. The detecting range can reach up to 40m, depending on the signals given. 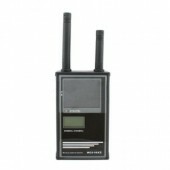 The detector is designed with capability to find all the wireless camera, cell phone signal devices within the frequency range and the distance. 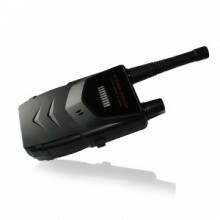 It is much more powerful than many other camera sweeper bug detectors with great sensitivity and adjustable wide locating scope. 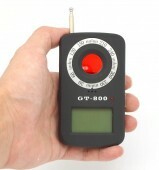 The camera bug detector wireless RF finder is of portable handheld design. It is very easy to carry along and use anywhere you like. 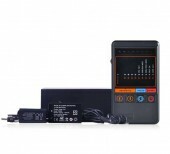 Detecting wiretaps at home, in car, office, conference room or sweeping bathroom, hotel room off hidden cameras is all covered with this portable gadget. Even the arm, police or government department will adopt the gadget to assist the management of security system. The quality of the device is good and it is worth the sound price. The device is of good quality and the after sales service is wonderful.